There are a variety of reasons why a skill or concept should be taught explicitly to the whole class. This is common at the beginning of a unit or at the beginning of the year so that a shared academic culture and expectations is understood and enacted by all students. Whole-group instruction is also valuable in that it empowers all learners to act as resources for one another. At direction of teacher, receives the lesson similarly to that in a more traditional classroom. May have opportunities to work with partners or a group to improve learning. Access additional resources to help with areas of need. During planning time, works with others to identify areas where the whole class might need additional support. 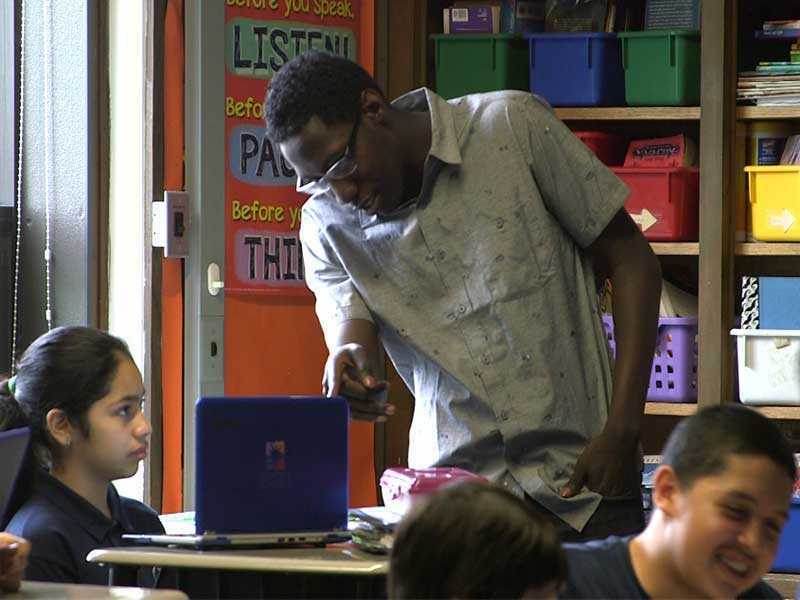 Prepares the lesson using common techniques for engagement, like using famous songs to explore similes and metaphors. Uses technology as a way to engage students via an interactive shared screen at the front of the class. Schedules whole group time explicitly and directs students to come together. If appropriate, is used to enhance lesson through different modalities and engagement mechanisms, such as providing shared content for students to better connect with each other or assigning some students online resources as pre-work to better prepare them for the lesson.